Congratulations to the people who developed the Coachford Greenway. Tonight they were honoured by the Mayor of Cork, and Cork county council for their trojan work in developing the facility. The Mayor, Cllr. Alan Coleman praised the Inniscarra Lake Tourism Development Company ( ILTDC) for their belief in the project, the manner in which they set about achieving their goal and the way that they delivered the finished product. “Make no mistake, what this group has done for the Lee Valley area and for the economy of Cork is immense. Not only have they created an inland fishing facility to rival any of those across Europe, they have also in the process created an outstanding amenity for the Coachford and Mid Cork region. 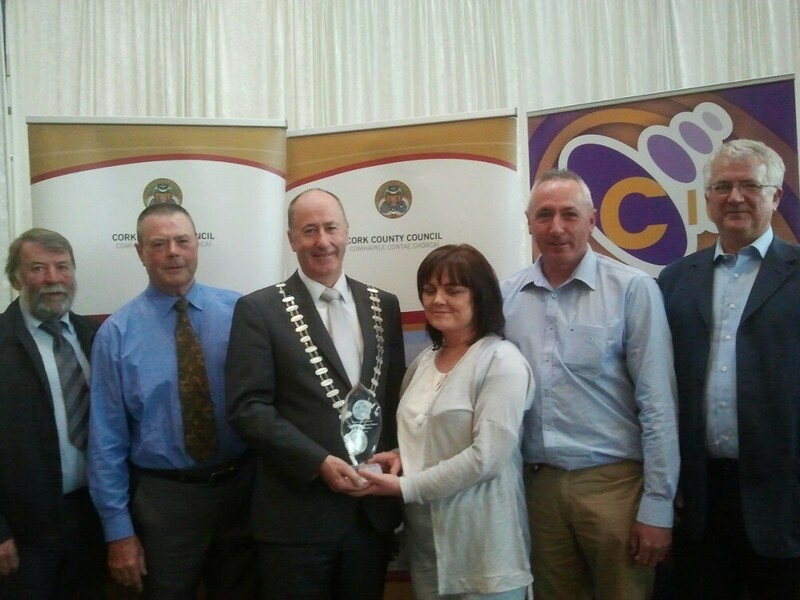 It is my pleasure to announce that the Inniscarra Lake Tourism Development Company are the winners of the Cork county council community and voluntary award for Cork South. ” On accepting the award, Tommy Lawton of the ILTDC said” we are delighted to have received this honour. It’s always great to have the work that so many people have put in over the last few years appreciated and recognised. The Greenway is almost open twelve months and the number of overseas anglers visiting the facility every week is on the increase and we are looking forward to a big influx of fisherman during the next few months. We are blown away by the huge number of people enjoying the Greenway and it’s great to see the walk being availed of by so many people.”. This entry was posted in Useful Numbers and tagged Coachford Greenway, County Mayor Awards, Inniscarra Lake Tourism Development Company Limited. Bookmark the permalink.